One of the first steps in using a new camera is to learn to process the RAW images it produces. I have shared my decision process and many comparison images on the Sony a7R II Review page. Even if you have no interest in the Sony cameras, you may find the comparison interesting. More coming soon. 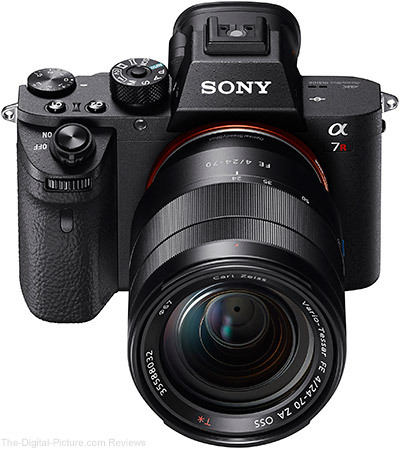 B&H has the Sony a7R II in stock with a $300.00 rebate. Also, for a huge bargain, trade in any camera or lens (even something of very low value) and get an additional $480.00 off of this camera (in addition to the trade-in value) or a significant amount off of many other Sony products. The team over at LensRentals has posted a teardown of the Canon EF 70-300mm f/4-5.6 IS II USM lens. B&H carries the Canon EF 70-300mm f/4-5.6 IS II USM lens. Canon has released its FY 2016 financial results. Update: Whoops! We previously posted the guidebook's availability when CPN made it available back in November. For some odd reason, the Guidebook available via CPN is only 12MB compared to 100MB for the CDLC version (maybe the CDLC version is significantly higher in resolution?). 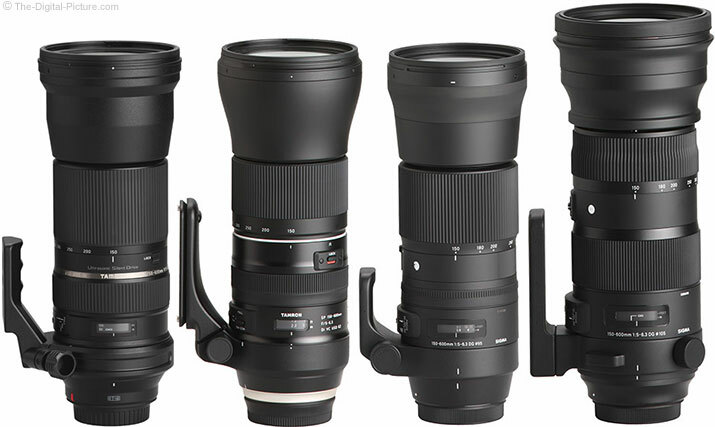 Permalink: Which 150-600mm Lens Should I Get? Storms on the horizon and mostly cloudy overhead. That is what I saw when I stepped out of the Middle Caicos villa well before sunrise. While I admit that going back to bed seemed like a good (and justifiable) option, I knew that storms could bring desired drama and resisted that urge. While a sky completely covered in rainstorm was not of interest to me on this morning, I saw enough breaks in the clouds to give hope for some dramatic skies and I stayed with the plan. Mudjin Harbor is my favorite location in the causeway-connected North and Middle Caicos islands (Turks and Caicos Islands are just north of Haiti and Dominican Republic). The cliffs and beaches in this location are stunning and the color of the water is among the best anywhere. The close-to-shore reef system brings entertainment in terms of waves and many small ironshore formation limestone rock islands dot the landscape, including Dragon Cay (Dragon Island) as seen here. At this resolution, it is not especially easy to recognize the dragon lying in the water, but the rightmost large rock is shaped like a horn-nosed dragon head with its body (including shoulders and hips) flowing to the left and followed by its tail. A goal for this trip was to capture some images that included this fun land formation in them and having a nearby villa was part of the plan implementation. A big attraction of Mudjun Harbor is a pair of caves and one of the caves faces the beast. A great and popular compositional technique is to frame a subject within its surroundings and one of my favorite natural frames is the opening of a cave. In addition to making a good frame, this particular cave offered a couple of additional benefits on this morning. First, the sustained wind speed was just over 30 mph and gusts were reaching 50+ mph. That is fierce enough to blow a camera and tripod over and strong enough to make it difficult to even stand up, let alone frame and capture a sharp image. It is strong enough to make a painful whistle across one's ears and strong enough to blow salt water deep inland (causing, minimally, front lens element clarity issues). I was able to get deep enough into this cave to essentially eliminate the wind factor. You can see the other issue approaching in this image. A small-but-significant rainstorm is close and on direct course for my position. The cave offered shelter from the rain and allowed me to photograph continuously as it approached and hit. 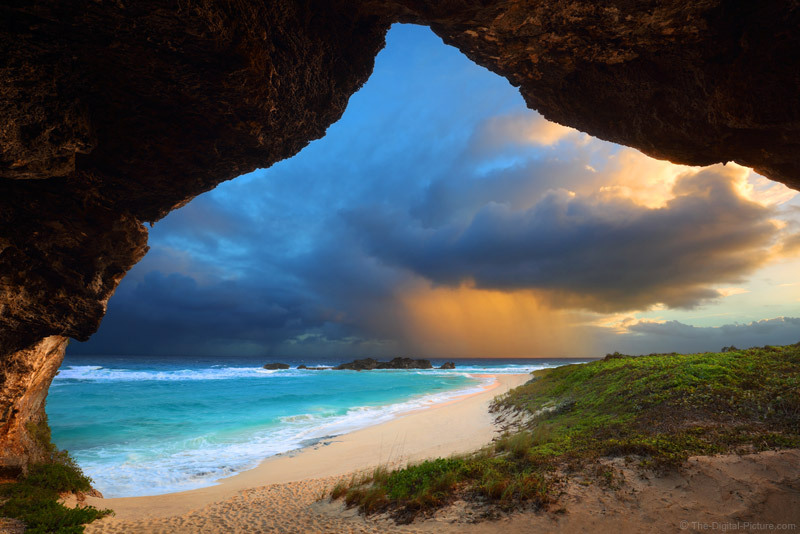 The word "cave" is often used to describe a dark venue and though these cave walls were brighter than many, they were quite dark and the backlit clouds were much brighter. This scenario means that an HDR technique was required. Two images with different exposures were manually (painstakingly in this case) blended in Photoshop to achieve the result seen here. Obviously, this rainstorm was back-lit by the sun and direct sunlight on rain holds promise for another highly valued, loved-by-everyone landscape photography element that I'll share later. By visiting www.usa.canon.com/imagePROGRAFprintsample, those interested can request samples printed on the imagePROGRAF PRO-1000, imagePROGRAF PRO-2000 and imagePROGRAF PRO-4000 devices using the following Canon media types: Photo Paper Pro Premium Matte, Premium Fine Art Bright White, Premium Fine Art Smooth, Premium Polished Rag, Photo Paper Pro Premium Platinum and Photo Paper Pro Luster. In addition to displaying the quality of Canon’s large-format output, this program is designed to help consumers make a more educated decision when shopping for printers and media types. B&H carries Canon imagePROGRAF PRO-1000, 2000 & 4000 printers. Photographers are storytellers: we tell a story within the frame of a still image. What we include in the frame depends on our mood and feeling, as well as the mood or feeling we want to convey. The technique we use to tell that story often depends on several factors, including making a color or black-and-white image (a black-and-white image perhaps looks more creative because some of the reality of the scene has been removed), using a fast or slow shutter speed to freeze or blur the action, choosing a wide or small aperture to minimize or maximize what is in focus in front of and behind the focus point – and perhaps most important: the lens we choose. In this article I’d like to share my story about a recent trip to the bottom of the world, which included stops in the Falkland Islands, South Georgia and Antarctica. To illustrate my story I’ll share with you the Canon zoom lenses I used and my camera settings on my Canon EOS 5D Mark IV and EOS 5DS. My goal is to give you some ideas on how you can tell your story when traveling. 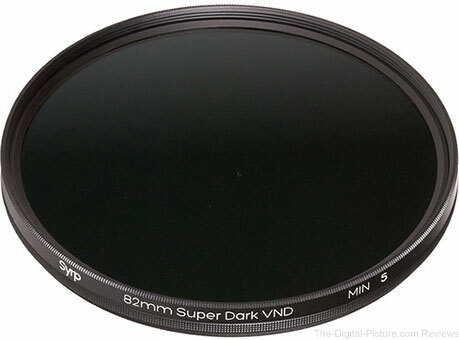 B&H has the Syrp (82mm & 67mm) Super Dark Variable Neutral Density Filters in stock with free shipping. 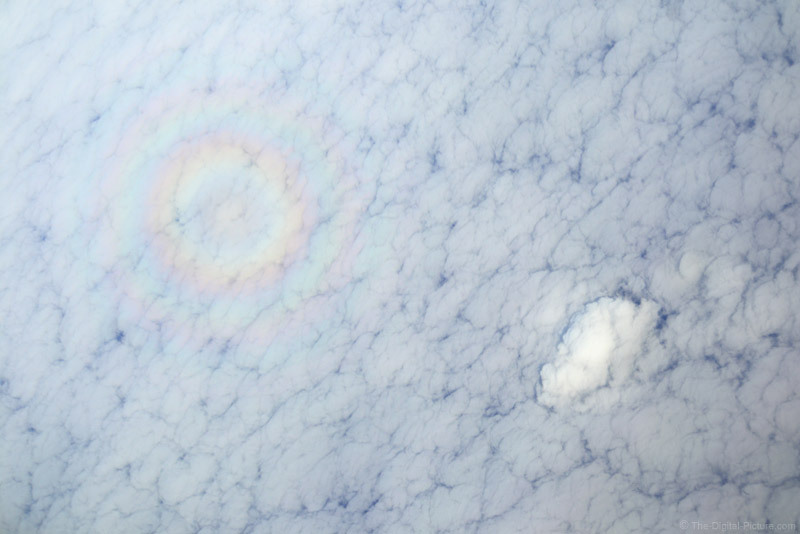 While in flight with the sun directly above/behind me and a solid cloud structure below/in front of me, beautiful concentric circular rainbows, called "glory", were visible. 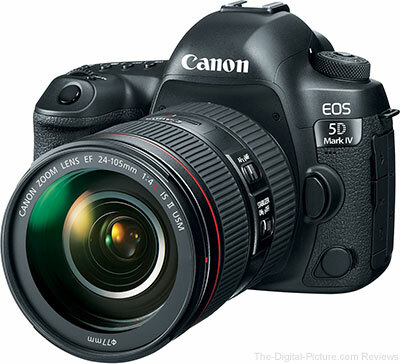 I had the Canon EOS M5 and EF-M 15-45mm Lens ready. Read the Aerial Photography from a Commercial Airplane to learn more about taking full photographical advantage of your flights. 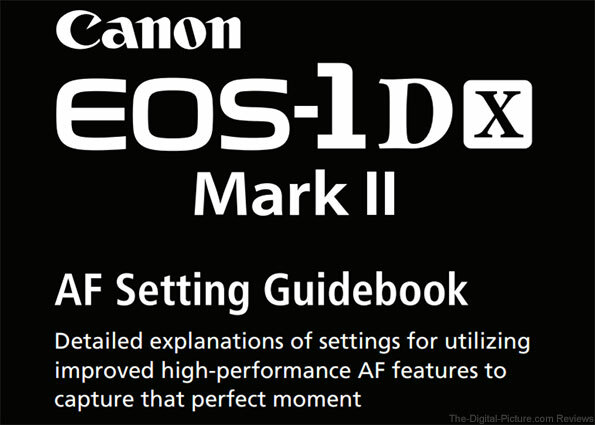 B&H carries the Canon EOS 5D Mark IV. LONDON--In advance of Bett, Europe’s largest exhibition for technology in education, Adobe today announced the forthcoming release of updated Android applications optimized for select Chromebooks to help students harness their creativity. In the coming weeks, Adobe Creative Cloud apps start rolling out for free download as part of the beta that Google announced today, giving students using Chromebooks the tools they need to be more creative. Using the classroom environment to learn how to problem solve and develop creative skills by using technology is more important than ever for the future workforce, per results of a global GEN Z study by Adobe on student and teacher learning perspectives. Over the past year, the use of Chromebooks has steadily grown in education – sales are flourishing in Europe, and they are now a market leader in North America. School administrators can approve and push Adobe apps on select managed Chromebooks by using the Google Admin console. Schools can expect an additional wave of Adobe apps to be launched later this year. “The popularity of Chromebooks in the classroom has exploded, and we’re thrilled to offer students access to Adobe tools on these devices, allowing them to learn the way they do best – by doing and creating,” said Mark Rupert, Senior Director of Education at Adobe. “As a company, our goal is to empower every student to be a lifelong creator and having our free mobile apps on Chromebooks will help us reach millions more students who can bring their ideas to life." Today’s announcement underscores Adobe’s dedication to enabling creativity in the classroom and delivering software and solutions across devices. Students and teachers agree that technology provides more digital tools and outlets for creativity, according to the Adobe study “Gen Z in the Classroom: Creating the Future.”1 The research found that 78 percent of students between the ages of 11 and 17 from the United States, United Kingdom, Australia and Germany and 88 percent of their teachers see creativity as essential to students’ future careers. A staggering 90 percent of students and 76 percent of teachers view technology as key to their career preparedness. In addition, 90 percent of Gen Z students say they are better prepared for the future given how well they understand technology. Adobe and Google will showcase the range of products that will be running on Chromebooks at Bett in the Adobe booth (#C118) and Google booth (#C230). Focus Camera has the Sigma 500mm f/4 DG OS HSM Sports Lens for Canon in stock with free shipping.